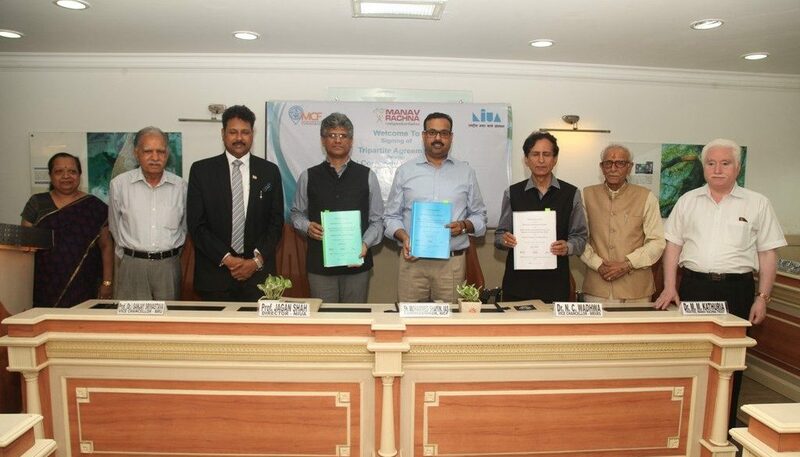 Municipal Corporation Faridabad (MCF), National Institute of Urban Affairs (NIUA), and Manav Rachna International Institute of Research and Studies (MRIIRS) signed a Tripartite Agreement to establish a WASH (Water, Sanitation and Hygiene) Lab at Manav Rachna Campus today. 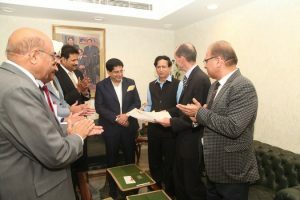 The agreement was signed among Dr. N.C. Wadhwa, VC, MRIIRS; Prof. Jagan Shah, Director, NIUA; and Sh. 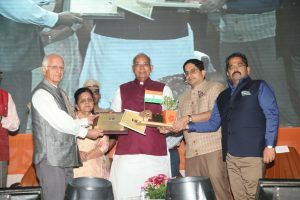 Mohammed Shayin, Commissioner, MCF, in the august presence of Dr. Sanjay Srivastava, VC, MRU; Dr. M.M. Kathuria, Trustee, Manav Rachna Trust; Mr. Deepesh Jain, City Manager, Innovation Hub for Urban Water, Sanitation, Hygiene Solutions, Faridabad; Dr. Sarita Sachdeva, Dean Research & FAS, MRIIRS; Dr. D.K. Chadha, Chair Professor & Chairman, CAWTM, MRIIRS; and other senior functionaries of MRIIRS, NIUA and MCF. NIUA is implementing Innovation Hub for Urban Water, Sanitation, Hygiene Solutions (IHUWASH) project that is duly funded by the United States Agency of International Development (USAID). A joint initiative of NIUA, TARU Leading Edge, IRC and Ennovent, this project is aimed to improve the performance of urban WASH programs with a collaborative framework. The IHUWASH project is being implemented in the Faridabad, Mysuru, Udaipur cities. The overarching goal of the project is to improve the urban WASH service delivery system by sourcing and accelerating innovative solutions. Considering the importance of academia and innovation in this aspect, Manav Rachna International Institute of Research and Studies is committed to sharing the available knowledge to improve the services for the citizens of the Faridabad and contribute to the betterment of the society. Additionally, the project is also expected to create an ecosystem that fosters innovations, and encourage entrepreneurship in the WASH sector. 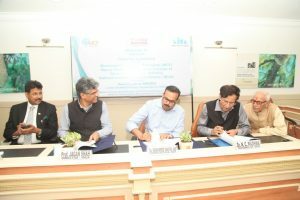 Under this initiative, a WASH Innovation Lab will be set up at Manav Rachna campus to institutionalize a self-sustainable WASH advisory support mechanism for MCF and Government of Haryana, in order to build an ecosystem for WASH innovations in Faridabad, extending to Haryana. The objective of the establishment of WASH Lab at Manav Rachna is to provide advisory support to MCF in WASH sector; create partnership with private entities and industries to ensure sustainability of WASH innovation Lab beyond the Agreement Tenure; conduct training, workshops, capacity building program to enhance capacity of government officials in implementing WASH Innovations in urban areas and thereby achieving goals of SBM, AMRUT and SCM more effectively; and carry out evidenced based research to improve designs of WASH infrastructure and systems. Dr. D.K. Chadha has been nominated as the USAID Urban WASH Chair of WASH Lab at Manav Rachna campus. 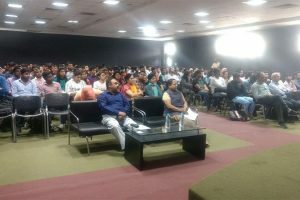 World Water Day Celebrated at Manav Rachna to promote Ecological Consciousness in the Youth of India!